Due to the curves of history there are lots of places in Lisbon which are directly associated with the presence of Moors in the city and in Portugal as a whole. This private tour in Lisbon is focused on the traces that the Moors have left within its territory. 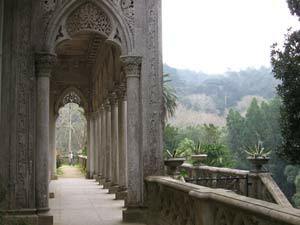 As the matter of fact Portuguese civilization was deeply influenced by Moorish invaders, and we can still find the traces of the Arab people in such aspects as crafts, arts, architecture, language, cultivations and so on. The Moors invaded Portugal and partially Spain at eh beginning of the 8th century and stayed there up till the 12th century. During the tour we will definitely visit Lisbon City Museum which is located in an 18th century palace. The City museum will give you an opportunity to learn a lot about Portugal in prehistoric, Roman, Visigothic, Moorish and Middle Age times. The building of the museum deserves certain attention as far as it was built as a gift for the mistress of the King Joro V. You will see a giant model of pre-earthquake Lisbon, numerous maps, and engravings of the Inquisition. The museum is surrounded with a beautiful garden where bright and proud peacocks wonder around. Our next destination will be the National Archaeological Museum of Lisbon, which is considered to be one of the most important museums. It was founded at the end of the 19th century and since that time it occupies the western part of the Jeronimos Monastery. The edifice of the museum once was the monk’s dormitory, but in the second half of the 19th century it was redecorated in sublime neo-Manueline style. After a thorough exploration of the archeological museum we will proceed to the Cloister of the Lisbon Cathedral (Patriarchal Cathedral of St. Mary Major). It is worth noting that it is the oldest church in the city and has survived numerous earthquakes. Nowadays it represents a mix of various architectural styles. 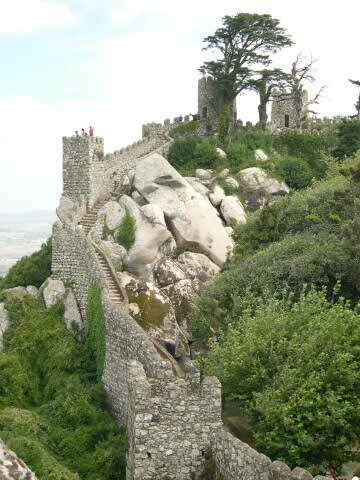 Any private guide in Lisbon would also strongly advice you to visit St. Jorge Castle (Castle of Sao Jorge) and the Moorish wall in the oldest district in Lisbon – Alfama. Tour Price: From 60 Euros p.p.